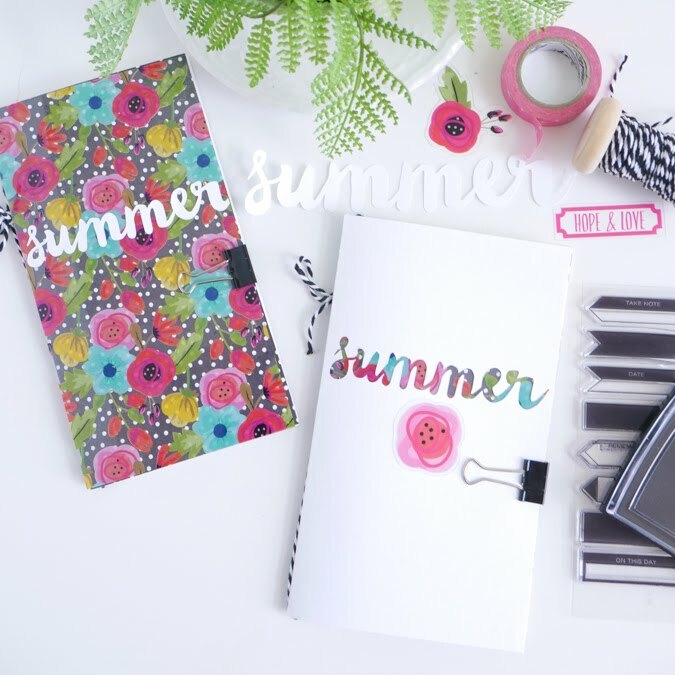 Bella Blvd Digital hybrid finding it's way on summer traveler's notebooks. This week and through June 11th, 2017, Bella Blvd is celebrating all things digital with their Digital Shop's sale. 25% off everything. And to celebrate I grabbed a few of the Chipboard Script png's found here and added them to a couple of traveler's notebooks that I was putting together for summer. First I gathered a few supplies. This included a whole bunch of Illustrated Faith goodies like paper from Delight In His Day, Heart Stickers, Label Stickers + stamps and ink. All supplies are linked below for details. Included with this stash was a few of the Clear Pads that I am a bit obsessed over for the moment. This pattern, especially, found on a sheet from the Clear Pads. 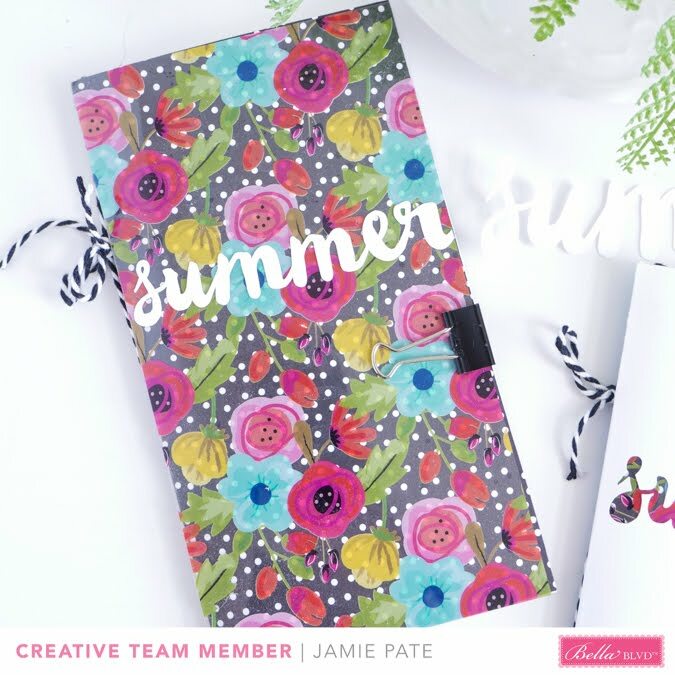 This floral was a great answer to the summer vibe I was attempting to create with these smallish journals in the making. Using the png file from the Chipboard Scripts digital elements, I created cut files with them. I cut out the word 'summer' from the Today collection, and then a 'summer' was cut from the cover of a traveler's as well. 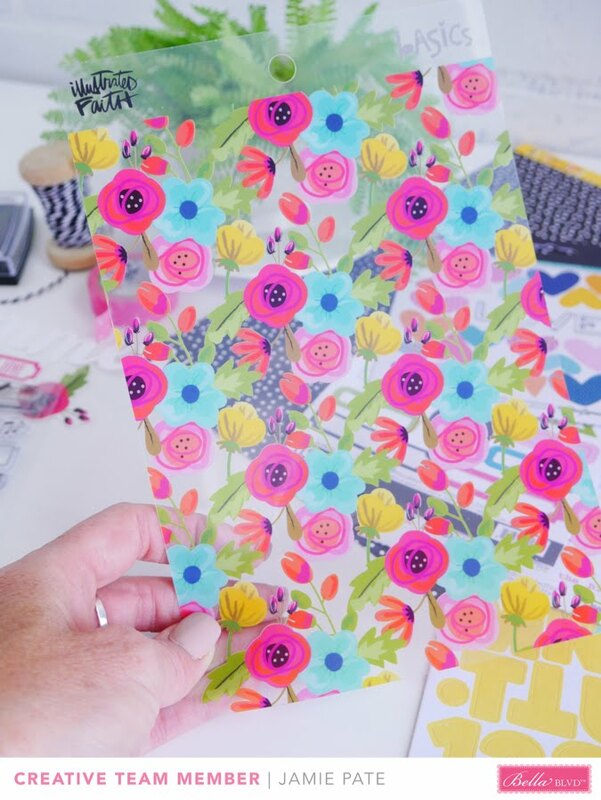 Behind the 'summer' I layered the above Clear Cut floral print, plus a polka dot pattern paper from Delight In His Day. Another Clear Cut Pad element was also trimmed out and adhered to the cover. Hot glue discriminately placed holds the floral in place nicely. 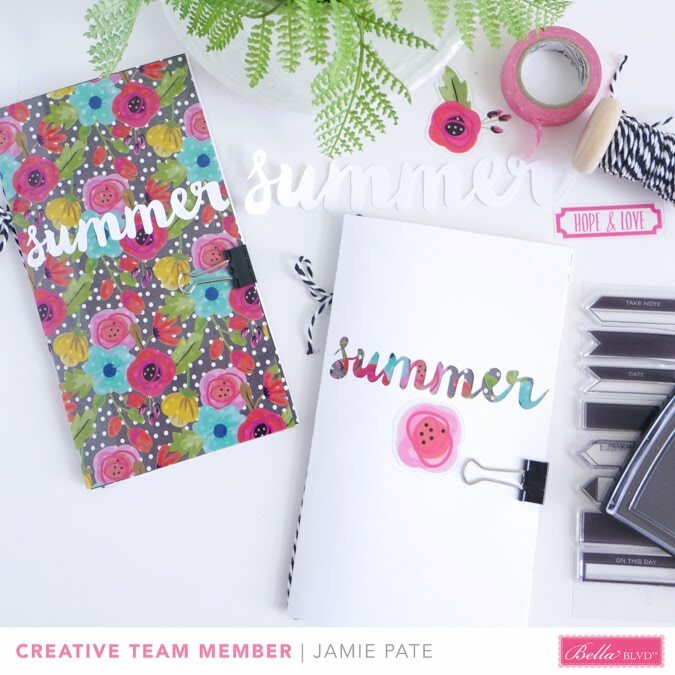 Inside I started a page and repeated the 'summer' theme. Again, hot glue is my friend to adhere that piece down but not so much that it's flat on the page. I just have always liked the floating appearance of embellishments on my pages. And this is no exception. The second book I covered with the white on black dot paper found in Delight In His Day, and then layered more of the Clear Pad pattern over that. The 'summer' cut is adhered to the front this time. Inside this traveler's I started a very colorful page that includes more die cuts as created from the Hello png's in the Digital Shop. 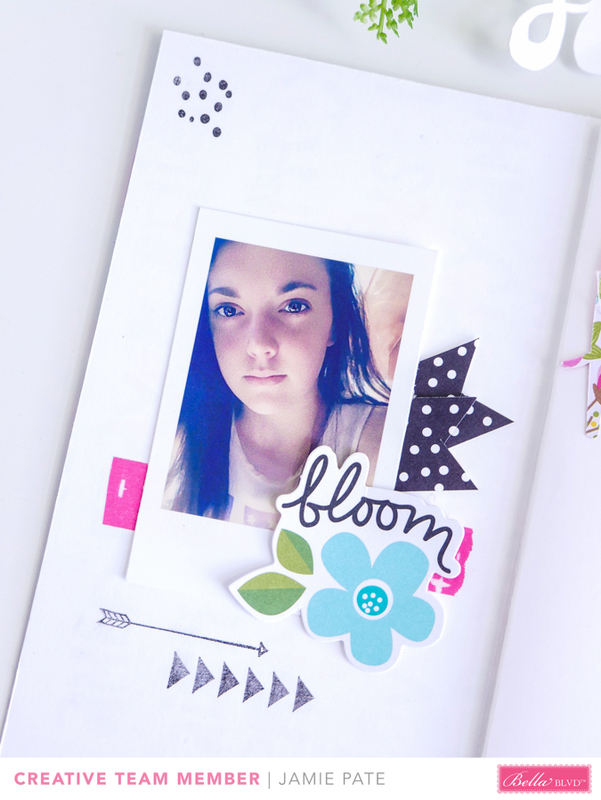 Illustrated Faith Die Cuts and Stamps make up this simple page. 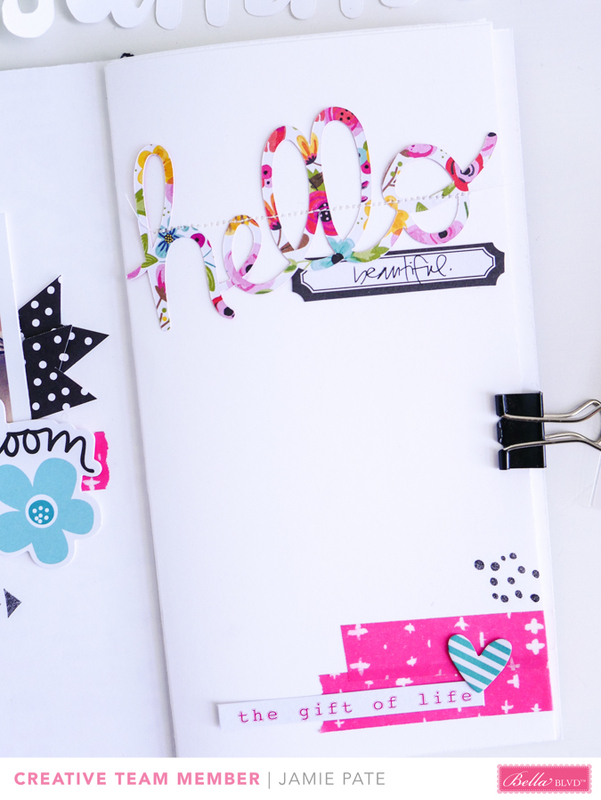 And 'hello' is super fun cut from an Illustrated Faith Basics 6x8 Pattern Paper pad. 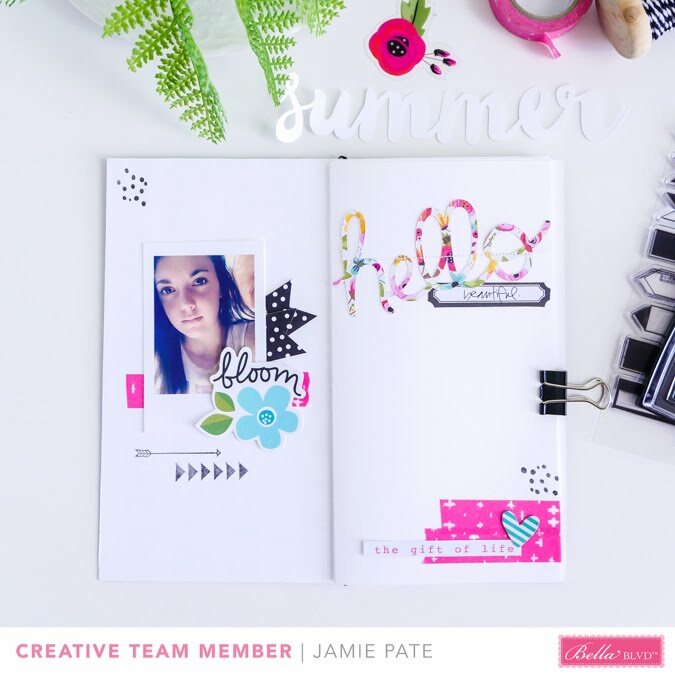 I love the white background and the color finding it's home to this page with plenty of room left for words and journaling. 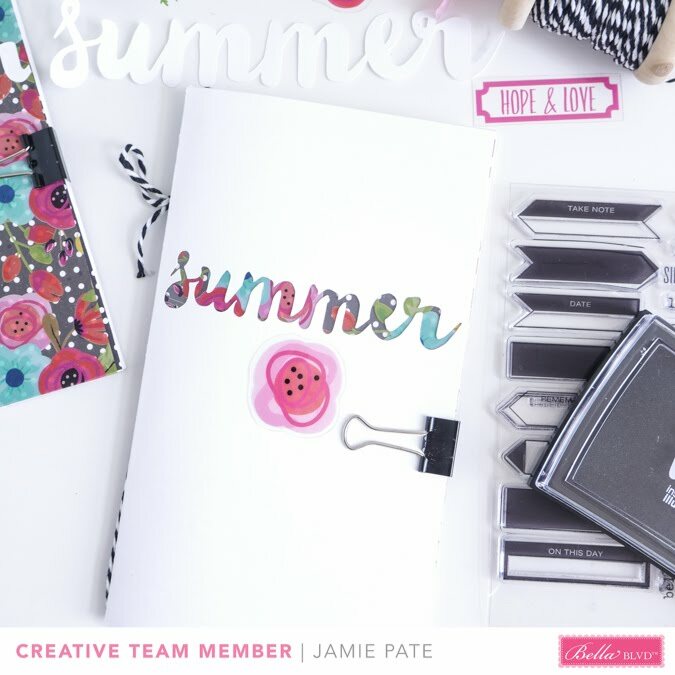 DIGITAL SHOP: Chipboard Scripts: Today, Hello.